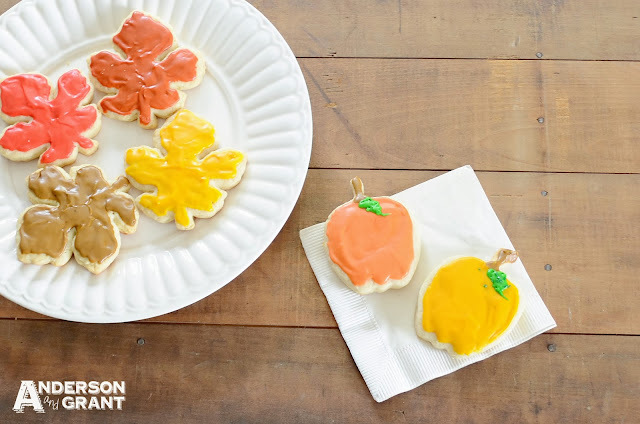 To celebrate the first day of fall, my mom and I baked some cookies and decorated them for the season. I love putting a little extra effort into decorating my cookies. Even though I know they will be eaten and my hard work will be gone, it makes me feel good to see a nicely decorated cookie laying on the plate! 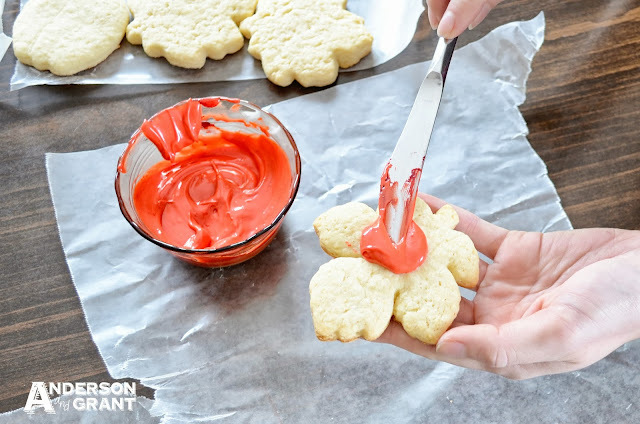 I used a "secret-family-recipe" that I can't share with you, but to me, it doesn't matter what recipe you use (you can even buy Pillsbury sugar cookies in a can to decorate!). 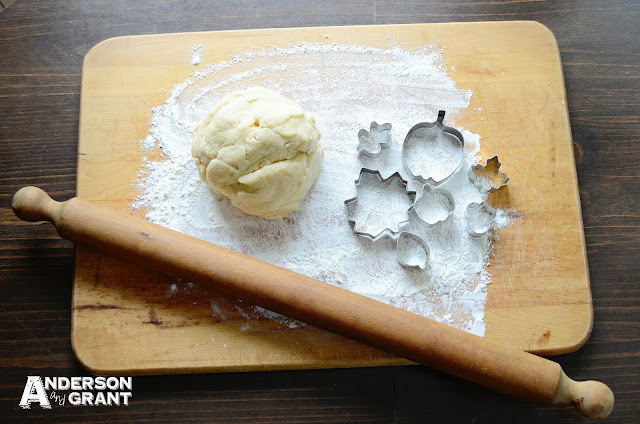 The important part is just taking the time to make your cookies special, especially if you do it with your family. 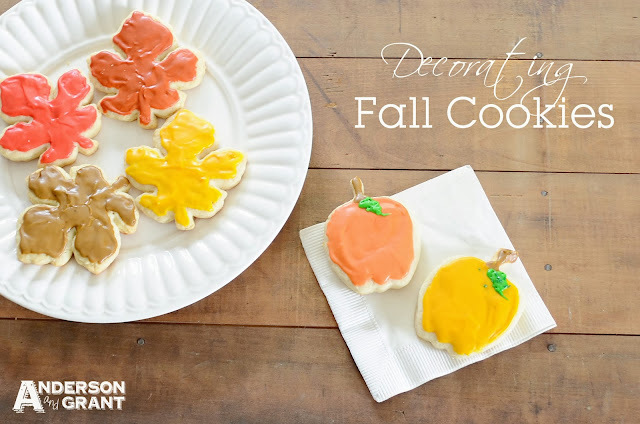 I used a collection of different sized cookie cutters in leaf, acorn, and pumpkin shapes. I prefer to use the paste form of food coloring. I think it gives your icing a nice color....especially the red that can sometimes turn out looking pink with liquid food coloring. I mixed up a variety of colors for fall....red, copper, golden yellow, brown, and orange (and a little green for the leaves on my pumpkins). To decorate the cookies, I began by putting the icing on with a knife. 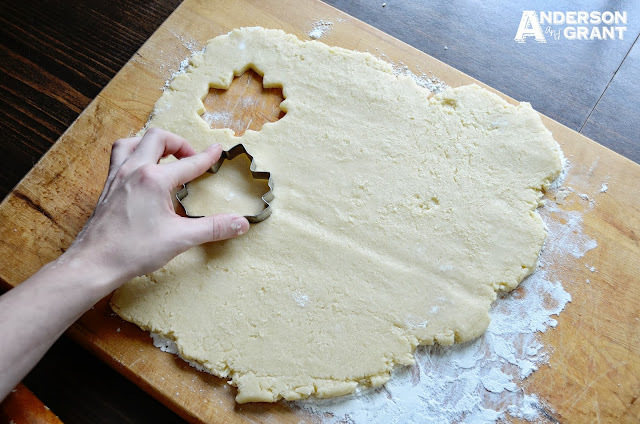 I try to follow the shape of the cookie with the icing and leave a border of cookie around the outside. 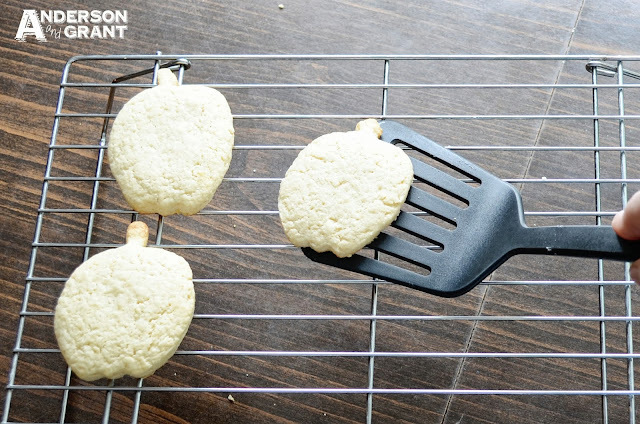 To add details like a leaf to the pumpkin, I put the icing in a Ziploc bag, snipped off the corner, and then used it like a pastry bag to draw on the cookie. You can even write words on the cookies or personalize them with someone's name. 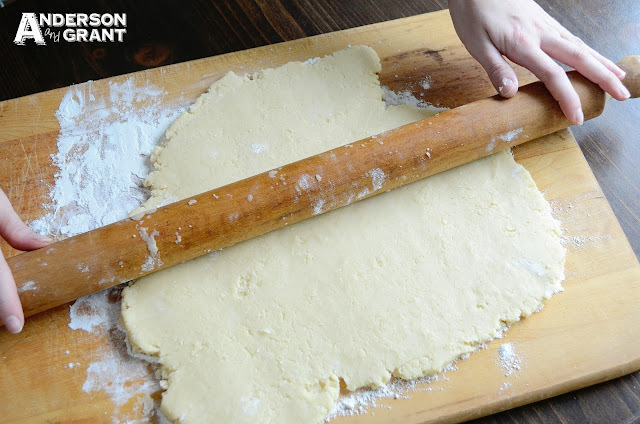 You can also add some sprinkles for another special touch to the cookies. I sprinkled some on the pumpkin's leaves, but it is hard to see in the picture. 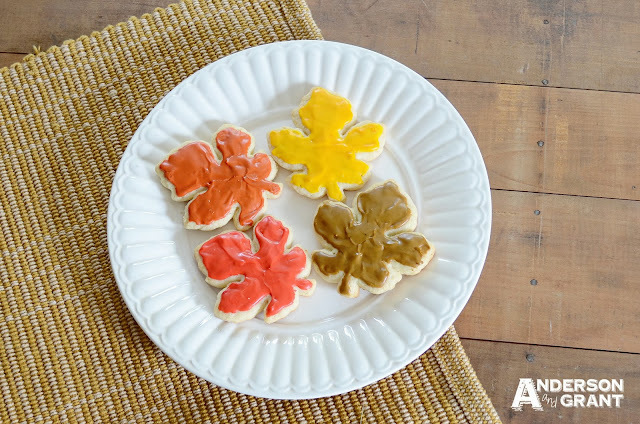 Did you do anything special to celebrate the first day of fall?